Browse our list of current products that are in-stock and ready for immediate dispatch. Enquire and order online. The Murray Push off Buckrake comes in three different versions: one is dedicated to telescopic handlers, one is to suit the front or rear linkage of tractors and the last is a contractor version. The Telehandler version consists of a rigid back frame constructed from heavy duty box section, with a row of 1400mm long heavy duty tines along the bottom. 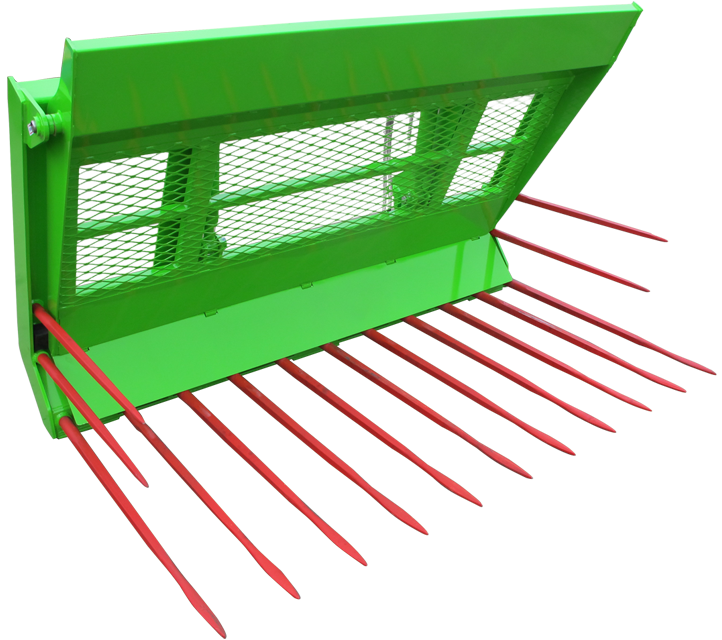 The "push off gate" is hinged from the top of the back frame, the gate also has a flap hinged at the bottom which follows the contour of the tines when going through the Push off cycle. The gate is activated by two double acting hydraulic cylinders. On the tractor version the main difference is the "push off gate" which is operated by a cantilever system allowing better discharge going up steep slopes. We also do a contractor version of the above which is a heavy duty machine fitted with stronger 1500mm long tines. Please see our YouTube channel to see our Buckrake in action: Part 1 and Part 2. Established near Aberdeen (UK) in 1979, Murray Machinery are UK agricultural machinery manufacturers who specialise in material handling attachments to fit telescopic handlers, forklifts and loaders. 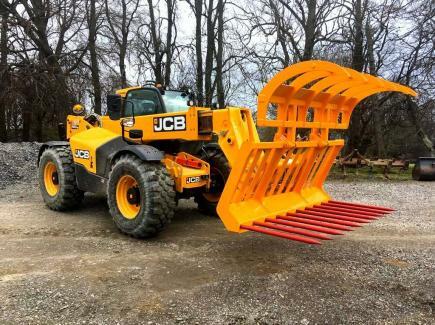 At Murray Machinery we are able to offer the benefit of nearly 40 years experience in the design and development of all our different attachments. Feedback from our customers is extremely valuable in the evolvement of our products to keep up with the ever changing methods and techniques used in the agricultural industry. It is also the case that some of our attachments have remained virtually unchanged over the years due to their success and reliability.